Published on July 7, 2016 in General T&T, Passed on, PNM, Politics and UDeCOTT. 4 Comments Tags: Patrick Manning, Politics, Raffique Shah, T&T Govt. The end, when it came, brought relief from some five years of suffering, and pre-empted additional torture from treatment for cancer, which many have described as being worse than the disease itself. Patrick Manning’s sister, Petronella, who is a medical doctor, said as much in her grief-stricken state. And his wife Hazel, who stood solidly at his side during the worst of times, both physically and politically, absorbed the shock of his death with aplomb. Published on July 3, 2016 in General T&T, Media, Passed on and PNM. 15 Comments Tags: Kamla Persad-Bissessar, Keith Rowley, Patrick Manning, Politics, T&T Govt. Former Prime Minister of Trinidad and Tobago, Patrick Manning, passed away on July 2nd 2016. Published on June 27, 2016 in General T&T and Passed on. 3 Comments Tags: Corey Gilkes, Harold La Borde, Sailing. THE EDITOR: Last weekend I looked at a photo of Coast Guard ratings bearing the body of Harold La Borde and wondered if I was the only one who felt it was just a shallow, hypocritical charade. I mean it’s not like the La Borde’s amazing achievements of sailing around the globe in a litte yacht he built right here meant anything. In other countries – y’know, those where self-contempt does not run as deep as it does here – what Harold, Kwailan and Pierre La Borde did would have been held up as models of inspiration for fellow countrymen and women. There was so much they did that spoke to the power of imagination and perseverance. Published on June 22, 2016 in General T&T, Health, International and Passed on. 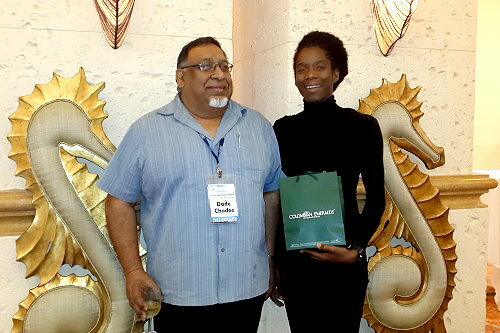 8 Comments Tags: Akilah Stewart, Dave Chadee, UWI. Known by various titles, “The Mosquito Man” amongst others, Professor Dave Chadee, 62, has died. He succumbed to a massive heart attack yesterday, June 21st, at around 4:30 p.m. Published on June 11, 2016 in General T&T, International, Passed on, Protest, Racism Watch, Sports and USA. 2 Comments Tags: Boxing, Muhammad Ali, Raffique Shah. In death, as in life, he straddled the world like a colossus. All the major international news networks suspended regular programming to pay homage to Muhammad Ali, the greatest boxer ever, the supreme sporting figure of the 20th Century, the defiant one who sacrificed a successful career on the altar of principle. Just four years older than me, Ali symbolised the rebelliousness of so many of my generation, it was almost as if we knew him, grew up with him, that when he spoke out, confronted what we had dubbed “the establishment” in those heady days, his was our voice. Published on May 31, 2016 in Entertainment, General T&T, Media, Music and Passed on. 2 Comments Tags: Holly Betaudier, Newsday. 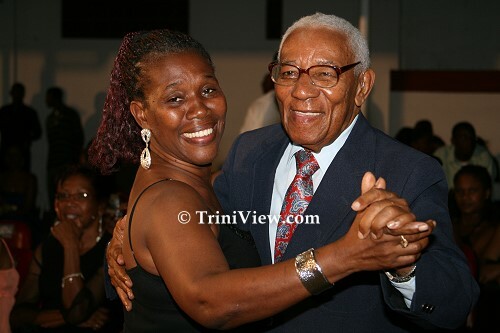 Former radio and television producer and presenter, as well as actor Holly Betaudier passed away peacefully at his home in Westmoorings at 11.20 pm on Sunday night. He turned 91 on January 27, 2016. Published on December 14, 2015 in General T&T and Passed on. 4 Comments Tags: Raffique Shah. Last Wednesday, amidst much ceremony but little pomp, Major-General Kenrick Maharaj took his last parade as Chief of Defence Staff (CDS) and proceeded into retirement, one month short of his 56th birthday. Brigadier Rodney Smart was named as the new CDS. Published on September 27, 2015 in Court, Elections, General T&T, Law, Media, Opposition Party, Passed on, People's Partnership, PNM, Politics and UNC. 2 Comments Tags: Attorney General, Errol Mahabir, Faris Al Rawi, Newsday. Attorney General Faris Al- Rawi, also the sitting Member of Parliament for the San Fernando West seat, was on Friday served with an election petition at the funeral service for former People’s National Movement (PNM) government minister Errol Mahabir. The funeral service took place at the St Paul’s Anglican Church on Harris Promenade, San Fernando and was attended by hundreds of mourners including Prime Minister Dr Keith Rowley, former Prime Ministers Patrick Manning and Basdeo Panday, a line up of government ministers and senators as well as members of Parliament from both sides of the House and a list of other prominent persons in society. Published on January 18, 2015 in General T&T, Passed on and Politics. 8 Comments Tags: Raffique Shah, Raoul Pantin. Raoul Pantin and I never worked together as journalists in the 40-odd years that I knew him. Yet, in some curious ways, our lives and paths intertwined and intersected, particularly during the major political convulsions in the nation’s history. As products of the same generation, we forged a friendship that allowed us to share experiences of different eras (witness his “Afro” hairstyle in the 1970s and my rebellious profile) even as we at times disagreed on issues. When, last Wednesday, I heard he had passed on, I realised that a phone call I had planned to make early in the New Year would now never happen—a cruel reminder that we had both reached “that age” when one must do what one plans since there may be no tomorrow. Published on August 11, 2014 in General T&T and Passed on. 3 Comments Tags: Augustin Noel. On the 11th July, 2014, Trinidad and Tobago laid a warrior to rest in the form of Augustin Noel after many years of service dedicated to the Chaguaramas land struggle. He was the voice of an unpopular struggle that was largely voiceless prior to his involvement. 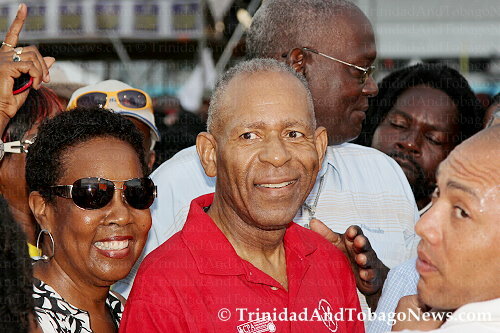 He was renowned for not backing down on the Chaguaramas land issue and fearlessly battled with the various corporate entities that encroached upon the picturesque community in which he once lived, even in the face of his personal misfortunes.